Dr. Parham Jaberi is a board-certified Preventive Medicine physician serving as the Assistant Secretary for the Louisiana Department of Health Office of Public Health. In this role, Dr. Jaberi provides oversight to over 1200 employees providing services in over 60 programs focused on clinical and preventative services, health promotion, environmental health services, and other services such as vital records. In addition, Dr. Jaberi serves as the Assistant State Health Officer providing support to the agency’s efforts in emergency response to weather-related events, infectious disease outbreaks, or other public health threats. Prior to these roles, Dr. Jaberi served as a local health official with the Virginia Department of Health and with the Louisiana Office of Public Health Region 9. 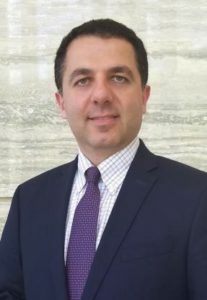 Dr. Jaberi obtained his Bachelor’s Degree from Johns Hopkins University, his Medical Doctorate from the University of Maryland, and completed his Preventive Medicine Residency at Tulane University where he also earned his Master of Public Health.